What BRAFA fair can offer for the entry-level collector? What can BRAFA fair offer for the entry-level collector? Big international art fairs are inevitably a showcase for the exhibitors’ showstoppers. At one level, these key pieces highlight the galleries’ specialities and rare finds that they have been saving up for the occasion. 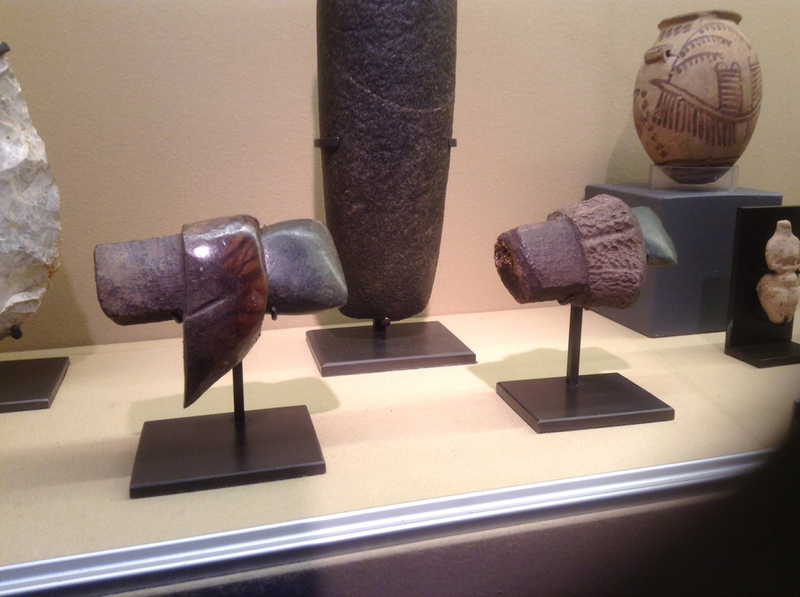 Two Neolithic stone axe heads offered by Galerie Gilgamesh at BRAFA. One example of Swiss or French origin, left, was priced at €2300, while another of Swiss origin with the original horn handle, right, was priced at €1500. But there is another side to the story and the display. When deciding what to take to a fair most exhibitors want to attract as many customers, new and old, as possible – which means tempting all palates and purses. So, many dealers will offer a selection of works to suit the neophyte and those on smaller budgets as well as the seasoned collector. The BRAFA art fair in Brussels is no exception. ATG visited the fair at the opening private view and asked a selection of exhibitors what they had bought to tempt the entry-level collector. Pictured here is a selection of what we found at the opening. BRAFA continues until February 3. 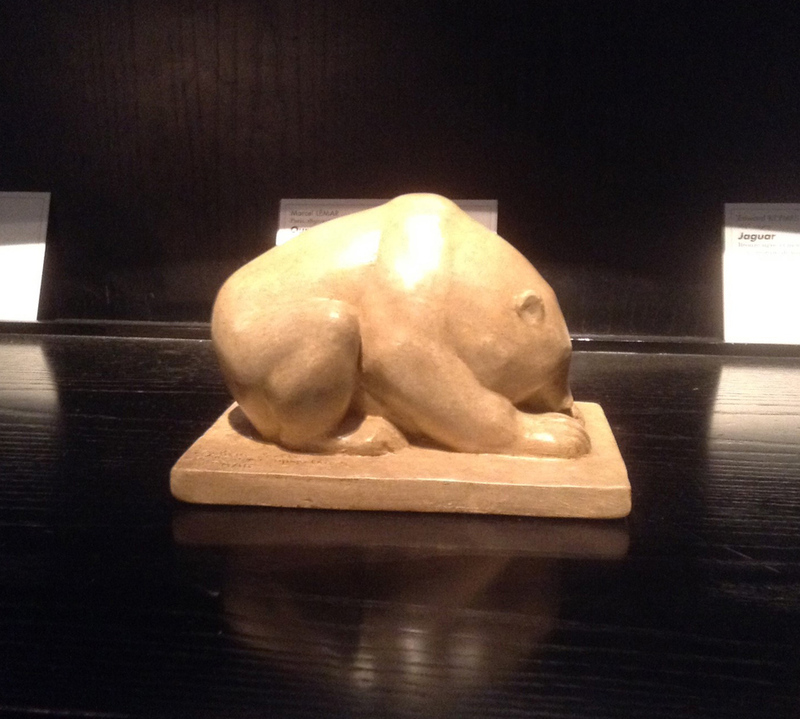 A plaster model of a crouching polar bear by Marcel Lémar, priced at €8000 by Xavier Eeckhout at the BRAFA fair in Brussels. The Paris dealer Xavier Eeckhout is renowned for his French and Belgian animalier sculpture and alongside his big-ticket pieces by the likes of Rembrandt Bugatti his stand features a young collectors’ cabinet. This part of his display also has pieces with more affordable prices because, says Eeckhout, “they are larger editions, artists that are less well known or are smaller in scale”. Pictured here is a signed and dedicated plaster model of a crouching polar bear by the French animalier sculptor Marcel Lémar (1892-1941). The model was produced in large and small-scale in bronze and plaster and this version was priced at €8000. A Tlingit covered basket, priced at €950 by Finch & Co at BRAFA. 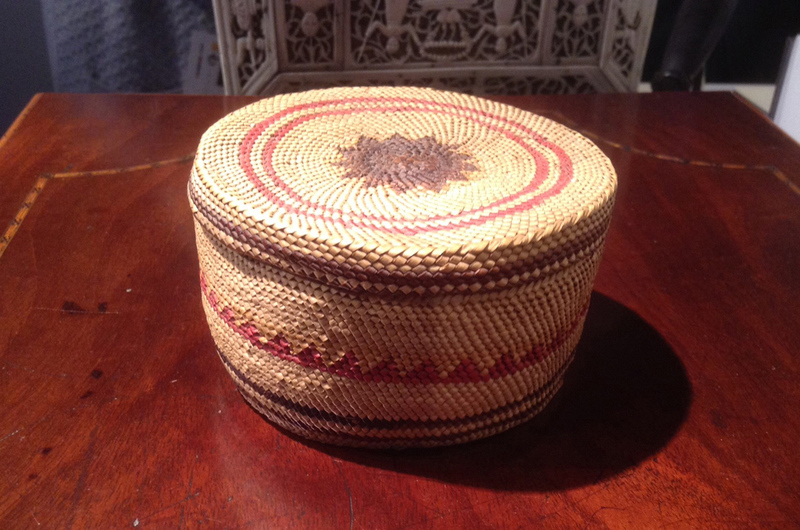 The cornucopia of curiosities at London dealer Finch & Co’s BRAFA stand included this little Northwest coast Tlingit covered basket. The finely worked and well preserved piece made from spruce root, dating from the early 20th century, came with a €950 price tag. Floris Van Wanroij Fine Art is a Dutch dealer who has a policy of pricing everything on the stand. 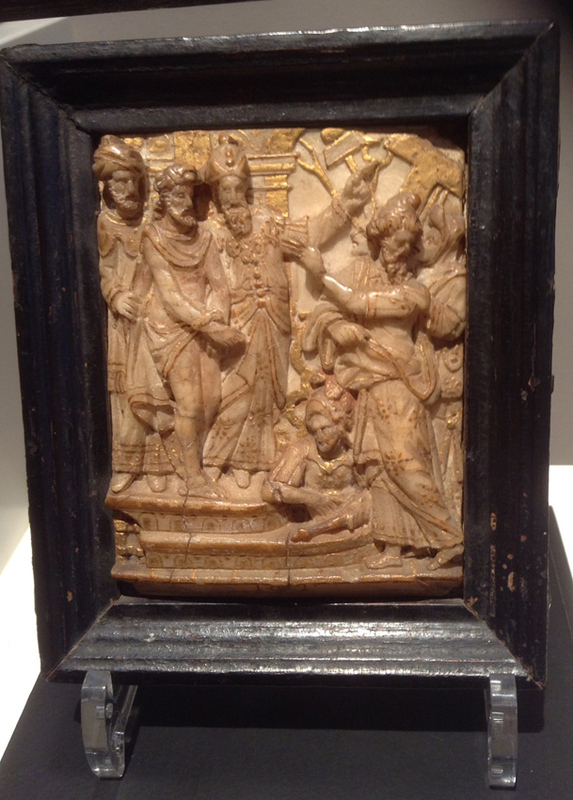 Among his display were these two eye-catching small 17th century Malines carved alabaster panels from c.1625-50 measuring approximately 4.75 x 3.5in (12 x 9cm) which he said he wanted to put in at an affordable level. Each was priced at €3850. 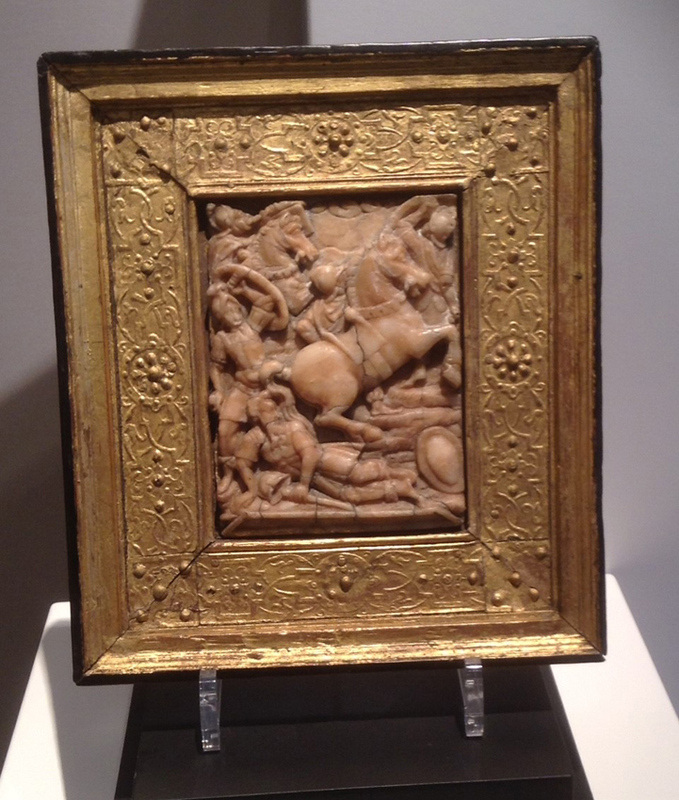 One has is an unusual subject - the Conversion of Saint Paul on the Road to Damascus - and is contained in the original pastiglia frame. The other, an Ecce Homo panel, has the benefit of being signed with the monogram IT and is attributed to Isaac Tissenaken. A watercolour and pencil study Maxime Maufra offered by Galerie Alexis Bordes at BRAFA. On the stand of Paris dealer Galerie Alexis Bordes is a group of seven watercolour landscapes by the French artist Maxime Maufra (1861-1918) priced between €1800 and €5500. 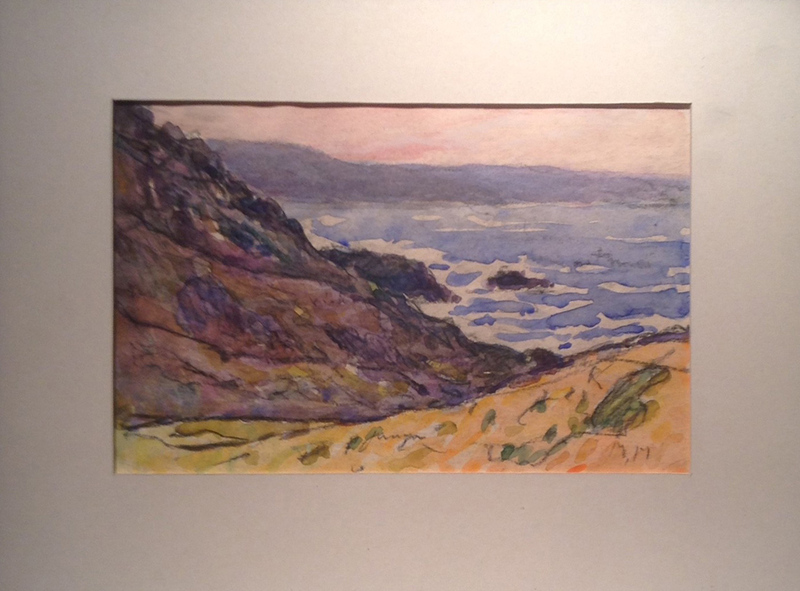 It includes this 4.75 x 8.25in (12 x 21cm) watercolour and pencil study from c.1905 featuring a rocky coastal scene in Brittany. Galerie Gilgamesh is a specialist antiquities dealership bringing pieces to BRAFA spanning the €1500-500,000 bracket. For those looking at the lower end of this broad margin, the Paris dealer could offer two Neolithic stone axe heads with finely shaped alpine green stone blades. The example on the right, of Swiss origin with the original horn handle, was priced at €1500. The one on the left with a larger, better preserved and patinated blade is of Swiss or French origin and came with a €2300 price tag. 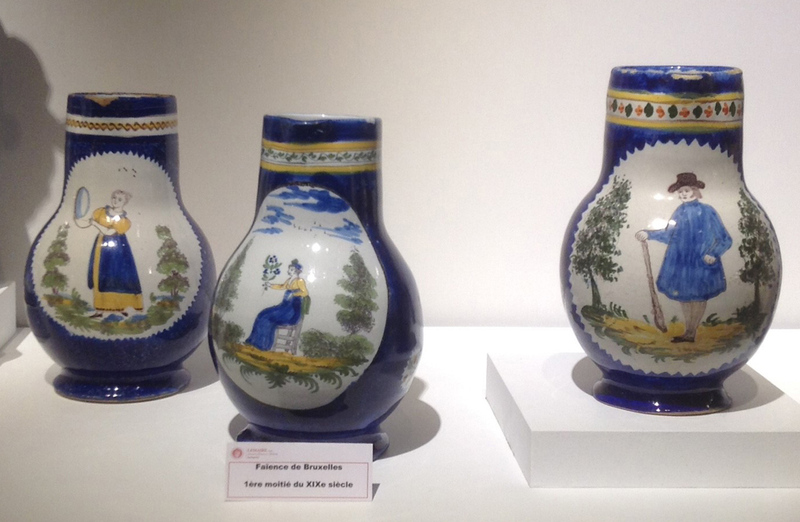 Examples of early 19th century polychrome-decorated faience jugs from various Brussels workshops, priced in the region of €1200-1800 by Lemaire at BRAFA. Lemaire, ceramics specialist from Brussels, feature a mix of European pottery and porcelain on its stand at BRAFA. Its display including a selection of early 19th century polychrome-decorated faience jugs from various Brussels workshops painted with costumed figures flanked by stylised sponged trees. Examples of what the gallery terms “art populaire” or folk art, they are priced in the region of €1200-1800.